I have loved all animals for as long as I can recall. When I was growing up, I was enthralled with Africa and its wildlife. 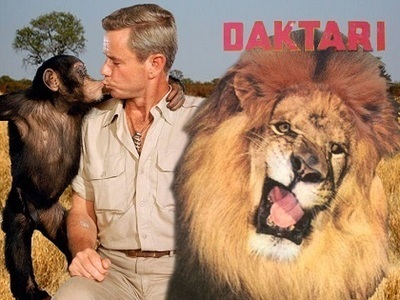 Daktari, a show about a compound that cared for injured African wildlife, featuring Clarence the cross-eyed lion and Judy the chimp, was my favorite TV show. Born Free, a true story of a lion that was adopted by a couple and then released back into the wild, was my favorite movie. I watched it again and again, and I cried each time as if it were the first. My family gathered around the TV to watch Mutual of Omaha’s Wild Kingdom each week. We laughed about Marlin Perkins, who always stayed safely in the Jeep talking, while Jim wrestled the wild this, or captured the ferocious that. They would mention the terrible danger Jim was in, and then add “and speaking of danger” as they cut to a commercial about Mutual of Omaha insurance. And if I was good, my mother would let me stay up late to watch Johnny Carson when Joan Embery was on with her animals, who inevitably ended up on a befuddled Johnny’s desk or on his head, much to everyone’s amusement. My fascination with African wildlife never wavered as I grew up. I have always had a special soft spot for elephants and collect elephant art. But I love all African wildlife … lions, giraffes, zebras, antelopes, warthogs, and of course, rhinos. My concern over the plight of these magnificent animals has grown over the years. Loss of habitat is bad enough. But as these species become increasingly endangered, poaching simply must stop. The number of orphaned rhinos and elephants due to poaching is heartbreaking. And it was out of that heartbreak that the story of The Last Rhino was born. 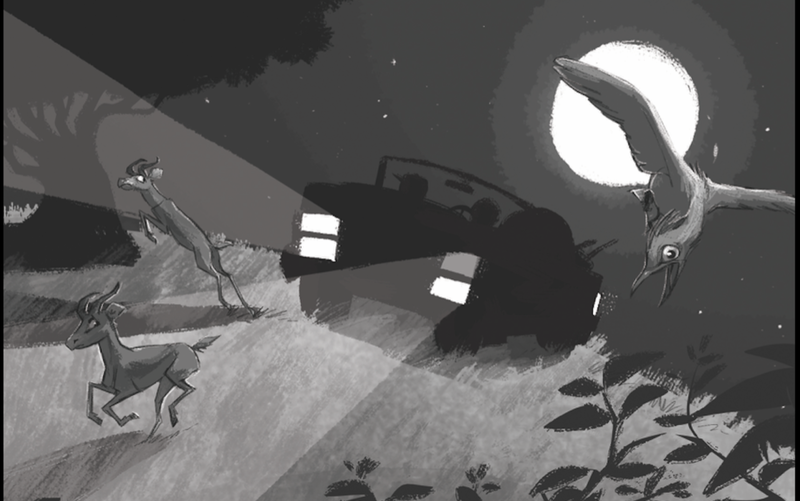 I initially conceived of The Last Rhino as a picture book, but after several versions, I decided the story was a bit “heavy” for that genre. And so many iterations later, a chapter book emerged. I worked on the manuscript over the course of a few years, fiddling with it, then putting it away again. When I saw news of the passing of Sudan, the world’s last male northern white rhinoceros, I knew that it was time to find a way to make the book a reality. One of the most interesting aspects of doing the story as a chapter book, was the ability to explore the characters and plot in far greater depth than is possible in a picture book. I struggled a great deal with how to portray the story in a way that was appropriate for children. It is a difficult subject, no doubt, and a sad subject. In the end, I went for the approach I always took with my own child: honesty, couched in gentleness, caring and compassion, and tempered by hope. It is my great hope that The Last Rhino will help raise a generation that cares for wildlife, and feels a sense of urgency to preserve and protect it. 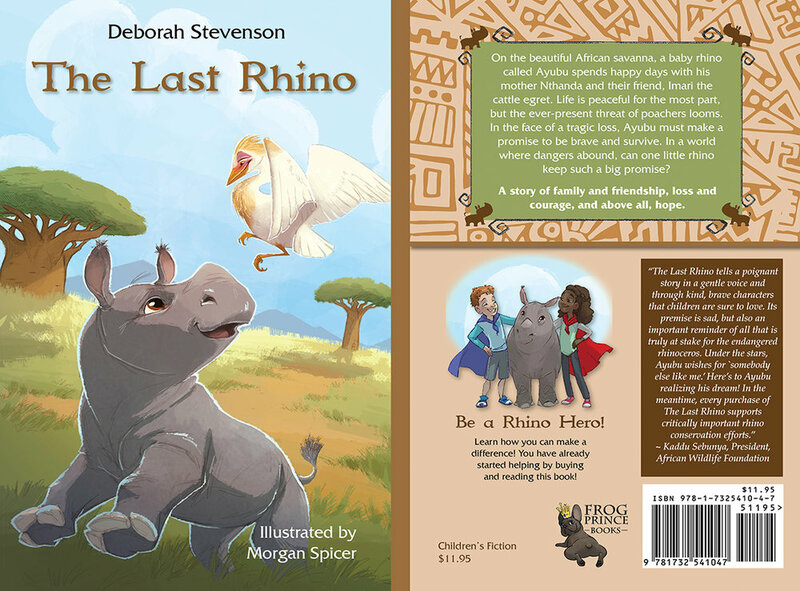 I would love to see the book in classrooms, paired with lessons on conservation and hand-on projects where children can get to know and help rhinos and other endangered species. I am working on just such a program in my local third grade school, and we plan to let the children choose a rhino to symbolically adopt (which I will sponsor). And I hope it sells a zillion copies so we can raise much needed funds for rhino conservation. But whatever happens, I hope that children will fall in love with Ayubu, the little rhino orphan who, when faced with terrible loss, grows up to fight back against those who have taken so much from him. And in falling in love with Ayubu, I hope children will fall in love with rhinos, and find both the passion and compassion to protect them always.